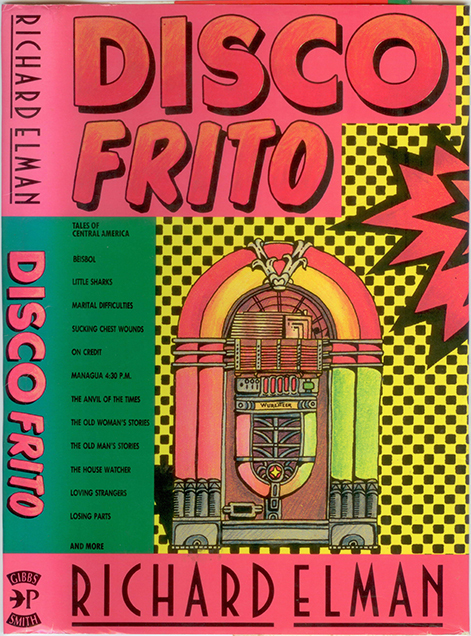 "Disco Frito" is a work of fiction. Some of these stories were told to me and, perforce, became fiction in the act of retelling them. Some happened to me or my friends, and when I think of them again they are as fiction. Fiction is one of the metaphors we have for experience. Except for certain public an historic figures mentioned herein, all the characters in this collection are fictional, including the principal narrator, Rik. Any resemblances to persons living or dead is strictly a coincidence. The title "Disco Frito" (Fried Disco) comes about as a result of an incident that took place in 1978. In early September the FSLN firebombed the Frisco Disco, a popular middle-class disco owned by a Somoza crony. It was destroyed without loss of life. Afterwords the FSLN distributed a broadside which boasted: "Ahorita Frisco Disco es Disco Frito (Now Frisco Disco is the Fried Disco.)" Below you may listen to Richard reading 3 stories from this collection, "Chocolate," "The Secret-Admirers," and "Beisbol."